Legendary jazz musician Oliver Mtukudzi dies - SABC News - Breaking news, special reports, world, business, sport coverage of all South African current events. Africa's news leader. 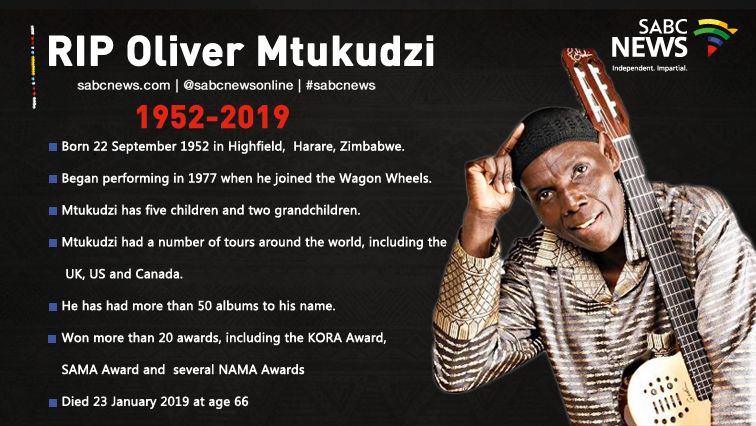 Tributes are already flooding in on social media regarding the passing of musician Oliver Mtukudzi. Social Media is abuzz after the passing of legendary jazz musician Oliver Mtukudzi, at the age of 66. No details have yet been released and the family is expected to release a statement later Wednesday afternoon. 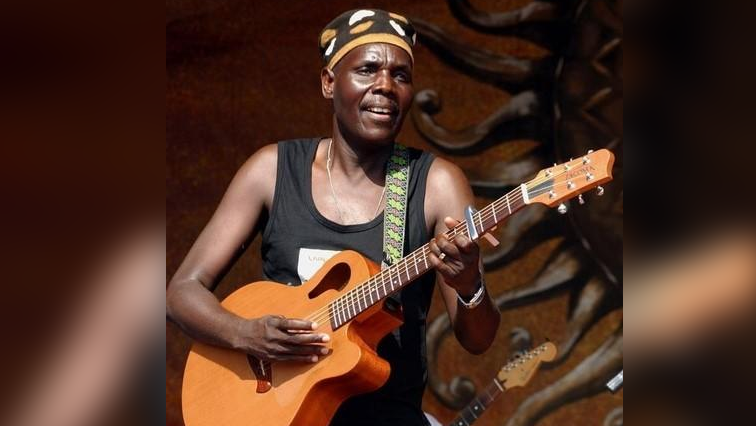 Mtukudzi’s musical journey relates to lives of many Africans, with songs like Todii and Neria. He is famously known for his cultural instruments, with jazzy sound. Tributes are already flooding in on social media. On this day last year, another legendary son of the African soul, #HughMasekela left us. Today we mourn iconic voice of the African people, @TukuOfficial .Rest in peace! This entry was posted on 23 Jan 2019,05:24PM at 5:24 PM and is filed under Lifestyle. You can follow any responses to this entry through the RSS 2.0 feed. Both comments and pings are currently closed.